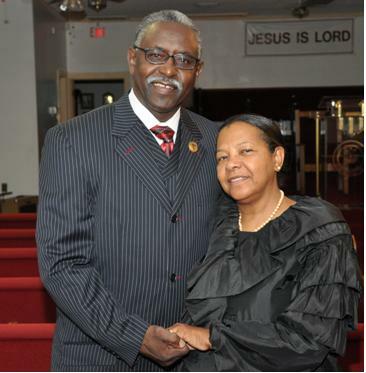 Greater Faith Harvest Church of God in Christ in Albany Georgia: Welcome! We've been waiting on you! It's true because we believe that every person who comes into the circle of this special fellowship was sent by God Himself. Above all, we want to express Christ's love to you with genuine, heartfelt warmth. We are eager to get to know you and are excited to have this opportunity to share the marvelous ways God is working at Greater Faith Harvest Church. It will not take long to discover that we are a family rich in the relationships that matter most. Growing together, we worship, serve, laugh, cry, learn and reach out to the world with life-transforming truth. Our doors are open and our hearts are too.